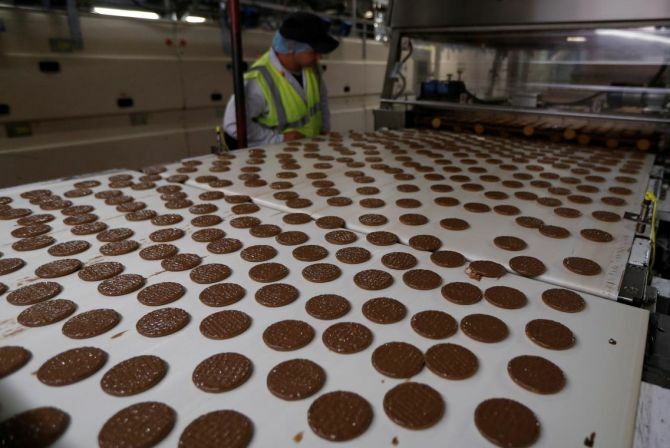 The biscuit with your tea could soon be more costly, thanks to a sharp rise in wheat prices, both in the domestic and international markets. Britannia, which makes both bread and biscuits, and Parle are considering price hikes for their products, as is ITC that sells biscuits, along with Aashirvaad atta. Smaller manufactures are also likely follow suit. In the past month, wheat prices have increased 6.3 per cent. The reason: production is expected to be 1.5 per cent lower, in terms of crop acreage, than the earlier estimate. The government has this year procured more than targeted wheat, in a bid to ensure food security. This has resulted in lower stock in the open market. Varun Berry, managing director, Britannia Industries, said, “We will need a price increase. We have ensured adequate wheat supply but at some stage this struggle is going to end. While wheat imports are not significant, global wheat prices, too, are on the rise. In the past month, wheat prices on the Chicago Board of Trade went up 13.4 per cent. The burden of wheat price rise is likely to pinch the smaller players more, given that they do not have the brand loyalty that the larger companies enjoy. The spokesperson added that unlike other commodities, the speculation in this crop was minimal. “The atta market prices respond to prevailing wheat prices, which in turn, are driven by the current wheat stock position in the country. "The prices of Aashirvaad Atta and its variants accordingly get corrected in a calibrated manner over time,” he added. Leading manufacturer of biscuits and confectionery, Parle, said it might look at increasing prices. The reason for the jump in price, apart from lower acreage and crop damage in some areas, is also because government procurement has been higher than estimated. Last year, government agencies procured 29.5 million tonnes (mt). This year’s target was to procure 32 mt, but the actual procurement has been 35 mt. Wheat production estimates were lowered by 1.4 per cent over the previous year to 97.11 mt in 2017-18. Hetal Gandhi, director, CRISIL Research, said wheat prices would remain firm because of higher demand from industrial consumers such as biscuits and other packaged food manufacturers. Thanks to the demand, the prices might even increase. Gandhi said: “Many of the manufacturers, mostly small and medium enterprises, are resorting to buying excess wheat and flour to insulate themselves against rising prices resulting in higher working capital needs.